Are you looking for a fancy cool Travel Apps for your Smartphone? There are dozens of useful apps helping you to navigate, find exclusive tips, or simply send a digital postcard. Sure we know many cool travel apps. This guide brings you a list of cool travel apps, perfect for travel the world. This list: This list features a big pile of the best travel apps out there. We use them personally, and we recommend them 100%. We will try to keep this post for the coolest travel apps always updated. Popularity: Most likely any app is used in different parts of the world. Even the world famous WhatsApp is well known over the Western world like Europe, Australia and the US, but in South East Asia they use a different app called LINE, for instance. So bare this in mind. 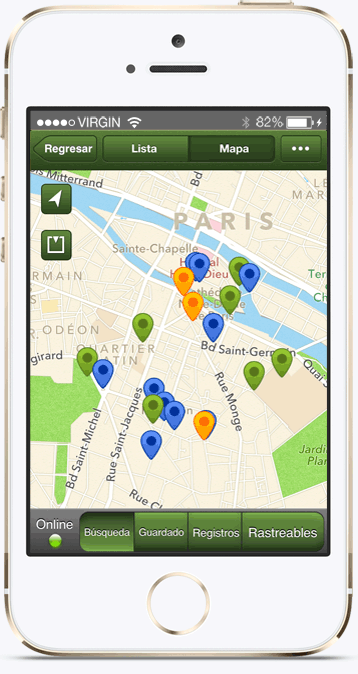 For some destinations you may want to download an extra app, so you can use the restaurants scene in Paris or the museums in London. Keep an eye open! Paid vs Free: Some travel apps or actually in general apps are free, others are paid. We think it is worth it to pay a few $ on an app when it proofs itself useful. In-App purchase: There is a third way how apps make their money. It is with so-called “in-app purchases”. This means while you have the application open, you can buy additional app features. This is very common for games, for instance. You can deactivate in-app purchases in your settings. This way you are safe and you will never buy anything accidentally. Andorid vs iOs: There is basically two types of Smartphone, the iPhones with iOs and all the others with Android. Now, both systems have their very own app-shop. It happens that you can download a specific app in one store, but not the other. This is because the developers have to program two completely separated apps. Keep this in mind when scrolling through this list of the top apps for travelling. Here we go. Just keep scrolling. We added also videos to the applications, sharing how they work. Let’s start with the most awesome travel app ever – sorry, we really love this application! Certainly one of the coolest Apps for Flashpackers to have is Fog Of World. Where again was that beautiful and delicious restaurant we went to in Menorca? With Fog of World you can tell your friends exactly where you’ve been, and where some places are located on a map. Stop guessing, no “Maybe here”, or even worse you do not remember at all – with Fog Of World you can check simply and quickly where you have been. The app is tracking your route, so afterwards you can see exactly where you have been. Cool feature: The App counts the km² you traveled and shows you what percentage you have seen from mother earth. Also, the application gives you some badges for discovering new things – well, ok…. Although this marketing stuff is just for fun, the initial idea of tracking your travel route is a great tool for flashpackers. You can download Fog Of World from the App Store. The best way to navigate yourself with this is to download the map when you are connected to the internet. The app itself does not require any internet connection as the tracking is completely GPS-based. Simple user-friendly interface – Clean Design! The GPS kills your battery, unfortunately. We recommend turning off any other function such as WiFi and 3G/ to get the most out of your battery. When you are working with a lot of Apps at the same time, Fog of World may shut down once in a while – keep an eye on that. An offline is always handy. Especially when you in remote places and for instance motorbiking Vietnam. It comes also handy when you walk around Paris to find that specific sight you were looking for. 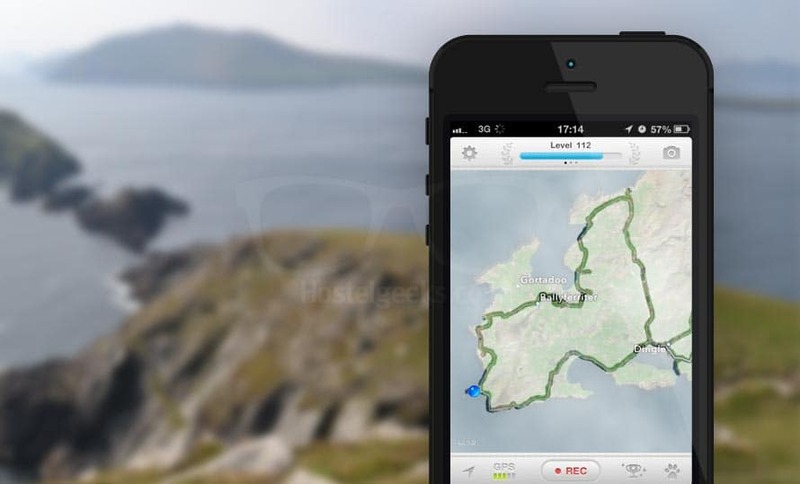 Maps.Me allows you to download a map directly to your phone. No internet connection required to find your way in unknown cities. Get more information about MapsMe here. Google Maps has by now the same feature. We prefer Maps.me for, well, no reason, actually. Both Maps.Me and Google Maps let you even put markers on the map. Meaning, you can mark your favorite vegetarian restaurant in London, and this hidden boutique shop you found in Tokyo. You can use foursquare in many different ways. The way to use it for travel purposes is simple. Have a look and search for lists created by other users. Usually they save their favorite places like bars, restaurants, and cafés in their own city. This way you can find more local places when traveling to big touristy destinations such as Paris, or London. 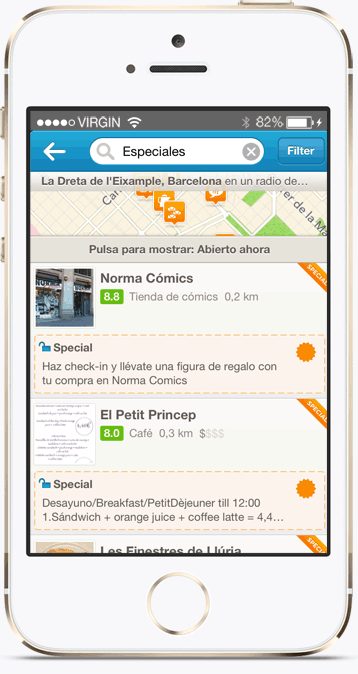 You can create your own list on your Foursquare account for friends and other travelers. Skype is your perfect tool for calls abroad. Pay as you go starting with prices from 0.7 cents per minute. Skype is a must-have for every traveler. The app is for free and you can download Skype for the iPhone and Android. However, now with WhatsApp you can call every contacts for free. Another great travel app is UBER. It is a great way to get a ride from A to B on a fix rate, reliable, and fast. Highly recommended. Please note that in some countries Uber and Grab works better than others. Uber in Spain is not as useful. In destinations like Chiang Mai Uber and Grab are fantastic. Just download it and pay as you go. 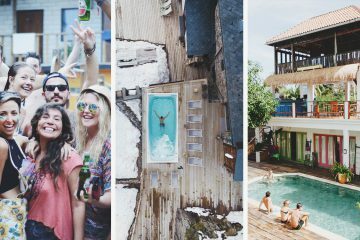 This is the app for everybody who loves to upload their travel photos right away to their social networks. Snapseed includes several high-quality filters which can turn a regular photo into an outstanding one. So far, all good – do you have a negative comment about Snapseed? Share your opinion with us! There are several iPhone Apps out there specialized in different languages. With the WordUp Croatian Lite you can start communicating in Croatian, and for ordering your Sushi in Japan the Japanese Flash – Vocabulary Flashcards and Dictionary App would be useful. You see, it obviously depends on the language. We recommend checking out language apps which offer a light version for free. If you are really into it, then you can buy the full version afterwards. TripColor is a Social Travel Sharing and Holiday Travel Application – so far so good. But the actual reason why it is included here is the feature to send a postcard right from the mobile device. 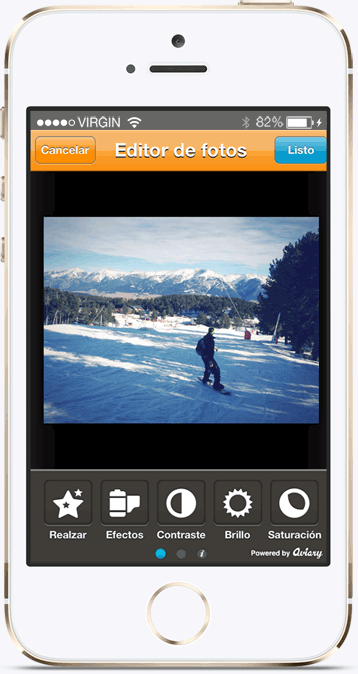 You can select a photo from your smartphone, edit the photo, and add a message on the back. Our recommendation: Edit your photo with Snapseed and use Trip Color to send the postcard. You pay right away with your credit card and Trip Color will take care of sending the card. Although the photo makes this postcard more personal, the printed message does the opposite – it’s up to you what you prefer. Geocachers describe the activity as “the real-world treasure hunt that’s happening right now, all around you.” – Wait, what? A geocache is a small container you need to find just by getting hints such as coordinates or a question. There are more than 2,500,000 geocaches hidden all over the world, and you can use those geocaches to find amazing places in your destinations. Use Geocache as your alternative travel guide. Simply search for caches using the filter option. Here you can see for instance if the cache has any special panoramic view from its location. You can download and save the caches directly on your phone to use the map, photos, and compass offline. There is even a free version, limited to basic features. Great app to get started and to see if you like it. No idea…do you have any disadvantages for this app in mind? Please share it with us in the comments. There are many awesome travel apps out there, making the travel life easier. We will try to keep this article updated.